When Chinese scholars first visited the Laba in the 1950s they were unable to determine what ethnolinguistic relationship the Laba had with other groups. The Laba shared many of the customs of their Gha-Mu (Small Flowery Miao) neighbors yet seemed to only speak a form of Chinese. 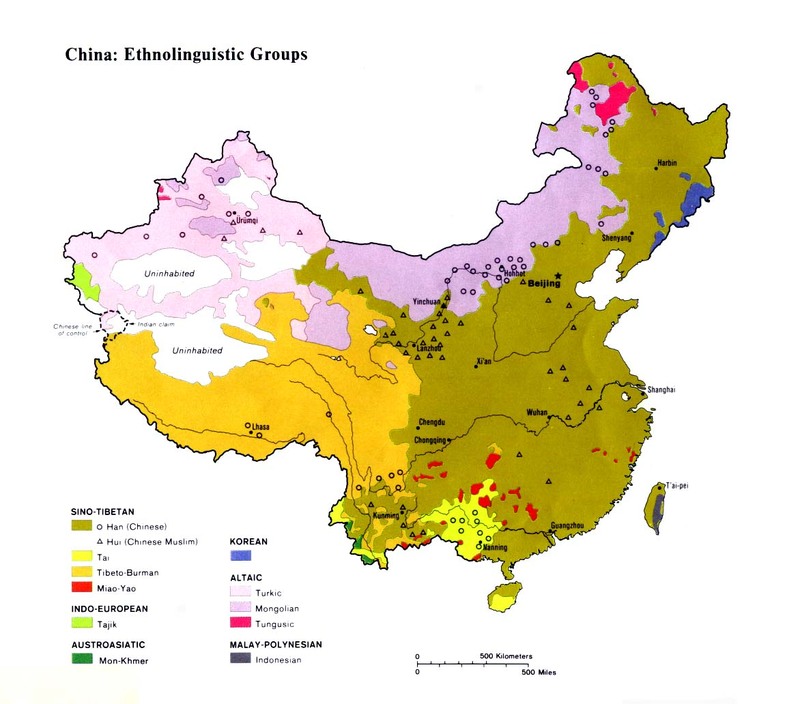 In the 1982 census the Laba were included in an extensive list of Undetermined Minorities, which included more than 900,000 people in 80 groups, most of which were located in Guizhou Province. In 1985 the government officially reclassified the Laba under the Miao nationality. One source says that although the Laba are now considered Miao, "really they are Han." The Laba are also widely known as the Huguang, or Huguangren. Laba is the name they call themselves. One alternative name for the Laba is Huguangren. This is because they reportedly originated in Huguang County of Hunan Province, before migrating across Guizhou and settling in their present location. During the Qing Dynasty there were still 4,500 Laba in Hunan Province. The Laba were probably a garrison of Han Chinese soldiers who were sent to Guizhou to fight the Miao. After hostilities ceased, the soldiers stayed behind, married local women, and gradually developed a separate ethnicity until they forgot their roots as Han people. The customs and celebrations of the Laba also reflect both Miao and Han influences. For many years the main cultural connection between the Laba and Miao was the fact that they prepared and ate the same kind of food, which is significant in China. Ancestor worship and animism are the primary religious systems practiced by the Laba. In the past, a cow was sacrificed to the spirits of the Laba's ancestors every three years. The Laba believed the meat was able to nourish the souls of their forefathers in the next life. Although approximately 500 Laba follow Christ, the gospel has never taken root among this group as it has among other peoples in the area. 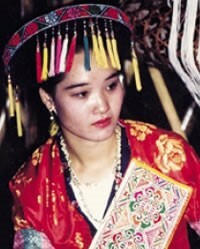 More than two-thirds of the Gha-Mu (Small Flowery Miao), for example, are Christians. The first Protestant missionary in the area was J. R. Adam, who commenced work near Anshun in 1899. In 1998 gospel recordings were produced in the Laba language. View Laba in all countries. 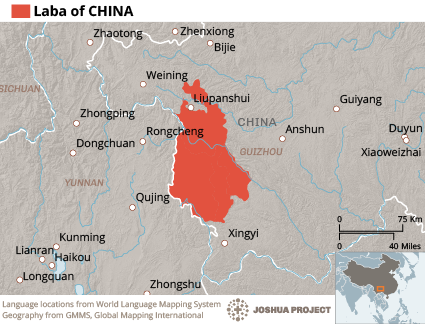 Location in Country: More than 200,000 people belonging to the Laba ethnic group live in Guizhou Province in southern China. The population of the Laba in 1982 was given at 150,000 by a Chinese official publication. The Laba predominantly live in Qinglong, Shuicheng, Pu'an, and Panxian counties in southwest Guizhou. There are also reports of Laba people in parts of Jiangxi, Hunan, and Sichuan provinces.